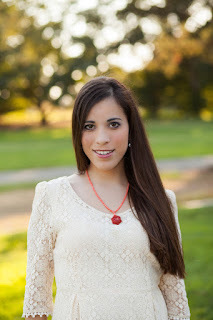 We're thrilled to have Anna-Marie McLemore with us to share more about her latest novel, BLANCA & ROJA. Anna-Marie, what’s your ritual like? Do you listen to music? Work at home or at a coffee shop or the library, etc? When it comes to writing rituals, I’m a little bit of a writer cliché. I have to make a playlist before I write the first chapter, and I’m powered by small amounts of coffee and staggering amounts of tea. And fizzy water. My relatives just got my husband and me a carbonator and I’m in love. What scene was really hard for you to write and why, and is that the one of which you are most proud? There’s a scene in which Roja has debilitating menstrual cramps and the start of a brutal period. Writing that scene, I felt a little like I was ripping my own body open and showing readers, This is what so many of us live with. But it’s also one of the scenes I’m most proud of, and I hope it makes anyone who’s gone through something similar feel less alone. Equally important to me was the character Barclay’s reaction. He doesn’t freak out. He doesn’t pick apart what might be wrong with her. He sees a friend in pain and tries to help. It was important for me to put that on the page. Sometimes you will have an idea for a story, but it might not be quite the right time to write it. You might be missing a piece, some spark that will make it the book it’s meant to be. I had to wait for that spark. I knew I wanted to write a “Snow-White & Rose-Red” reimagining, I knew I was enthralled by Swan Lake, but it wasn’t until I looked deeply at what I’m expected to be as a Latina woman, as a queer woman, as a queer woman of color that BLANCA & ROJA truly came to life. Anna-Marie McLemore was born in the foothills of the San Gabriel Mountains and taught by her family to hear la llorona in the Santa Ana winds. Her debut novel THE WEIGHT OF FEATHERS was a Junior Library Guild Selection, a YALSA Best Fiction for Young Adults book, and a finalist for the William C. Morris Debut Award. Her second novel, WHEN THE MOON WAS OURS, was long-listed for the National Book Award in Young People's Literature, and was a 2017 Stonewall Honor Book. Her latest is WILD BEAUTY, and BLANCA & ROJA is forthcoming in fall of 2018. 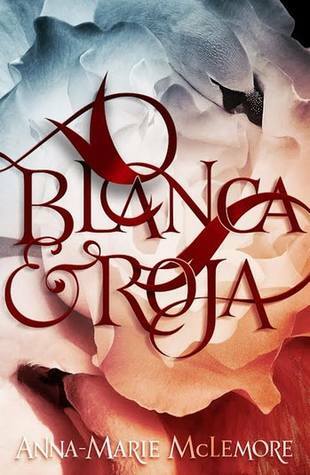 Have you had a chance to read BLANCA & ROJA yet? When writing, do you ever feel like you're ripping your own body open and showing readers? Have you ever had a story idea but known it wasn't the right time to write it? Share your thoughts about the interview in the comments!